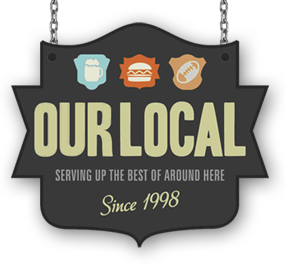 Come in and check out Our Local’s function opportunities. Ideal for your Christmas Staff Party, Birthdays, Weddings, Anniversaries, Social Events or any other functions that you may have in mind. Our functions can be tailor made to fit your requirements. Anything from 30 to 200 people is our speciality. With plenty of flexibility in our packages we can organise food and entertainment to fit within your budget. Our Local can supply a cost effective solution to your event within our premises and also supply plenty of secure off street parking. © 2019 Wiri Trust. All rights reserved.